Operation #ReadSherlock kicks off tomorrow, and I cannot wait! Before the big day arrives, however, there is one more item that I have yet to share with you . . . the Instagram Scavenger Hunt for the month! Throughout each of the weeks listed, you want to snap a photo that meets the weekly theme. You may choose to participate once throughout the week, or every day of the week. It is completely your choice! 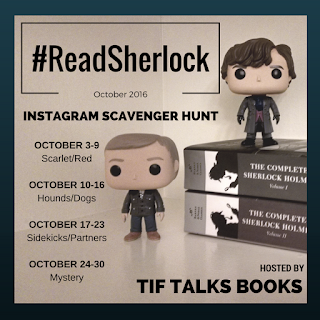 Just be sure to include the hashtag #ReadSherlock so others participating will be able to stop by and check out your work. The first three items are pretty self-explanatory, and they coincide with the stories and films that are being featured during the same week. However, the final week may prove to be a bit more of a . . . . mystery! I encourage you to use your creativity on this one. Maybe try to get others to use clues from a macro shot to guess the picture as a whole. Maybe you want to give a series of pictures as clues to a short story or character by the creator of Sherlock. Or, maybe you want to try something a little different altogether. You choose! 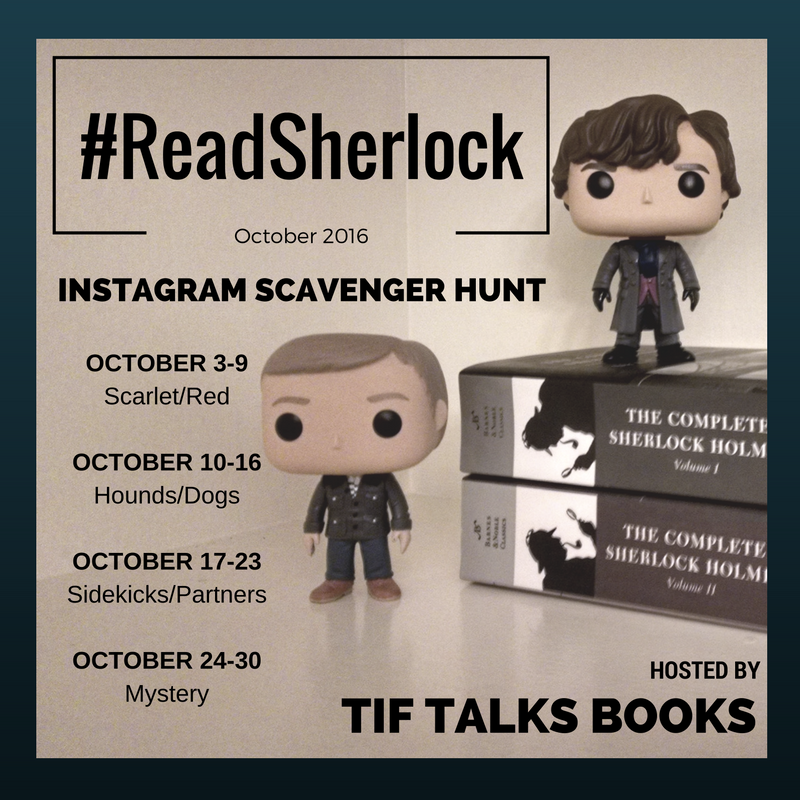 I look forward to seeing your contributions to the #ReadSherlock Scavenger Hunt! Happy hunting!! Be sure to check back over the weekend for a fun little vote before the official schedule begins on Monday, October 3. Do the scavenger hunt prompts got your creative juices flowing, or will you be taking a more logical approach in honor of Sherlock himself? OMGoodness! I can't believe tomorrow is October! Thanks for hosting this! I'm really excited about everything. Kami ... I know! September flew by, and now it's time for Sherlock!! Yippee! !